1971 – Mary J. Blige Born. 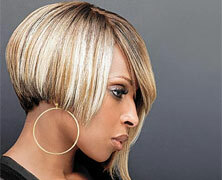 Mary J. Blige was born on this date in 1971. She is an award winning musician, the recipient of nine Grammy awards. Mary was born in Savannah, Georgia and moved at an early age with her mother and sister to Yonkers, New York. She dropped out of high school in her junior year and ventured into music by recording herself singing Anita Baker’s “Caught Up in the Rapture,” into a karaoke machine. Her stepfather took the initiative to contact record executive Andre Harrell and he signed her as a backup singer. In 1991, she began working with Sean “Puffy” Combs and he produced her debut album “What’s the 411?” The album was a huge success success, selling over three million albums. She is the only artist to win Grammys in the R&B, Rap, Pop, and Gospel fields. 1965 – Black AFL Payers Boycott All-Star Game. On this date in 1965, Black pro football players boycotted the American Football League All-Star game being held in New Orleans. The boycott was held over conditions for Black players and their families, with many being denied access to hotels and restaurants which were deemed “white-only.” Players also had trouble getting taxi service. Eventually, the league acquiesced by moving the game to Houston, Texas. Buffalo Bills star “Cookie” Gilchrist was one of the more outspoken leaders of the boycott. This was the first boycott of a city by any professional sporting event in sports history and helped to change the mindset of league officials when selecting event locations in the future. Many of the Black players complained that they were punished later by being cut and unable to catch on with new teams in the league. 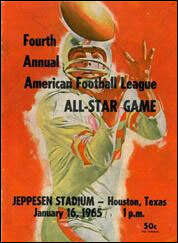 After the 1964 American Football League season, the AFL All-Star Game had been scheduled for early 1965 in New Orleans’ Tulane Stadium. That weekend Black players with the AFL’s Buffalo Bills had trouble getting a taxi or even basic service at restaurants. The team discussed the situation at a meeting and agreed to boycott the game as a statement against the racist conditions in the city. 1879 – The Zulu-British War Begins. The Zula-British war began on this date in 1879. The Zulu kingdom was under the leadership of their warrior-king Shaka.The British, having founded the area as the colony Natal, saw Shaka as a threat to their claim over the territory on the southeastern coast of Africa which lies between the Indian Ocean and the Drakensburg Mountains. Wanting to control the region and its natural resources (including diamond mines), the British demanded that the Zulus disband their fighting forces. Instead the Zulus met the British troops in battle. Although the British had an early victory over the warriors led by Zulu Chief Sihayo kaXongo, they were trounced in later battle at Isandlwana, where an army of 25,000 Zulu warriors killed more than 1,300 British soldiers, the worst military defeat in British colonial history. The British called for more troops and when they arrived in huge numbers they were able to overwhelm the Zulus, reaching the Zulu capital of Ulundi by June of that year. After the battle on July 4th, the Zulu King Cetshwayo surrendered and Zululand fell under British control for more than 100 years.